Love doing quick observation studies at my desk, always learn so much from each one. 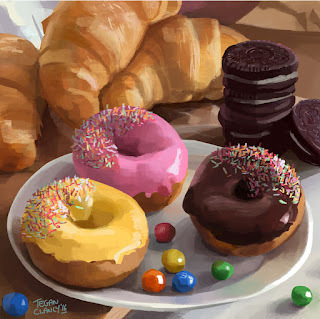 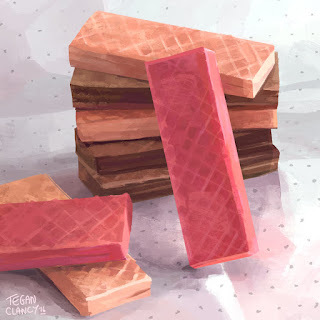 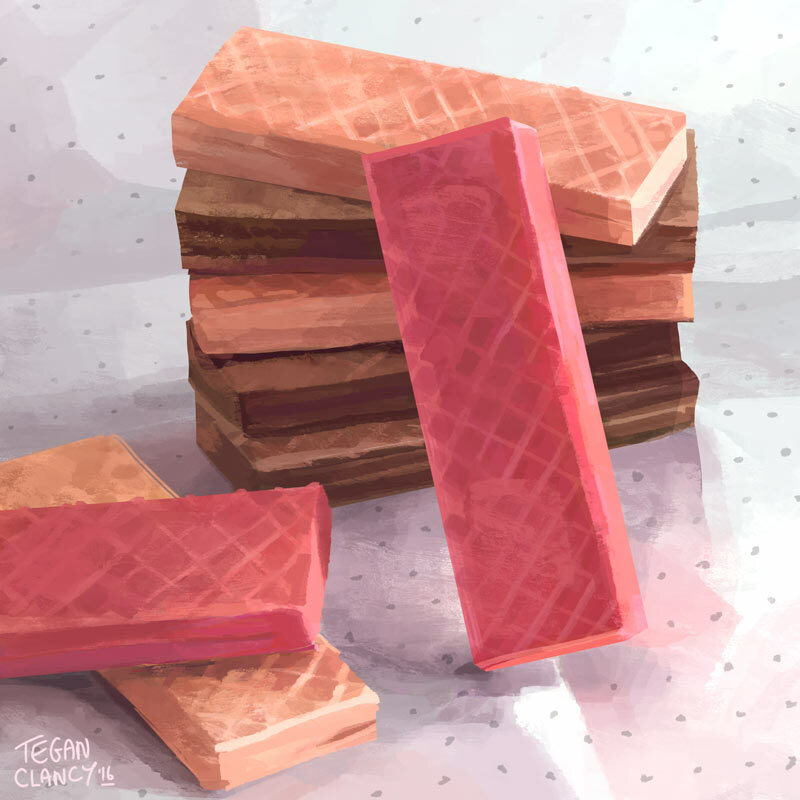 Here are some salt water taffy and wafer biscuits paintings. 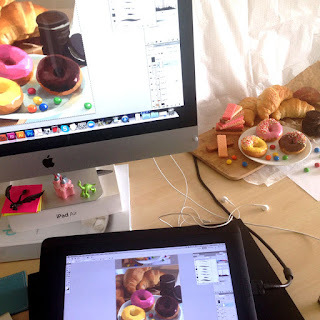 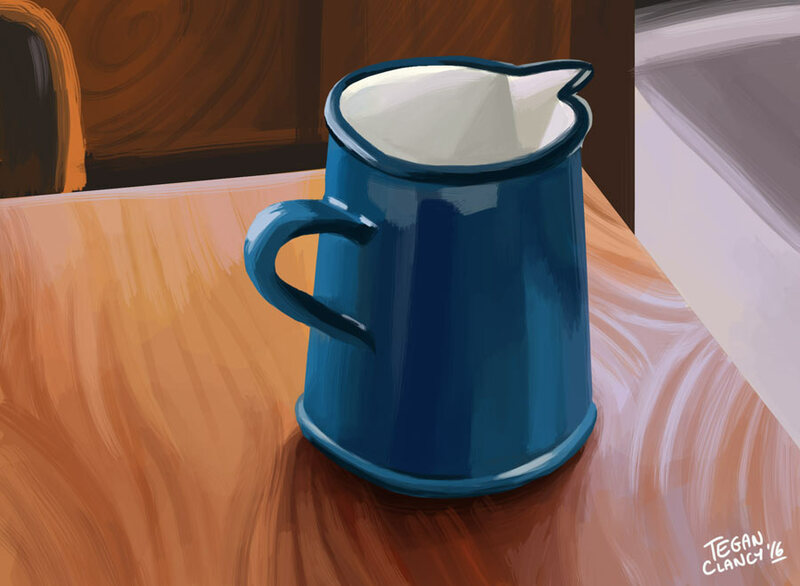 Still taking the time to observe colour and light with still life studies. 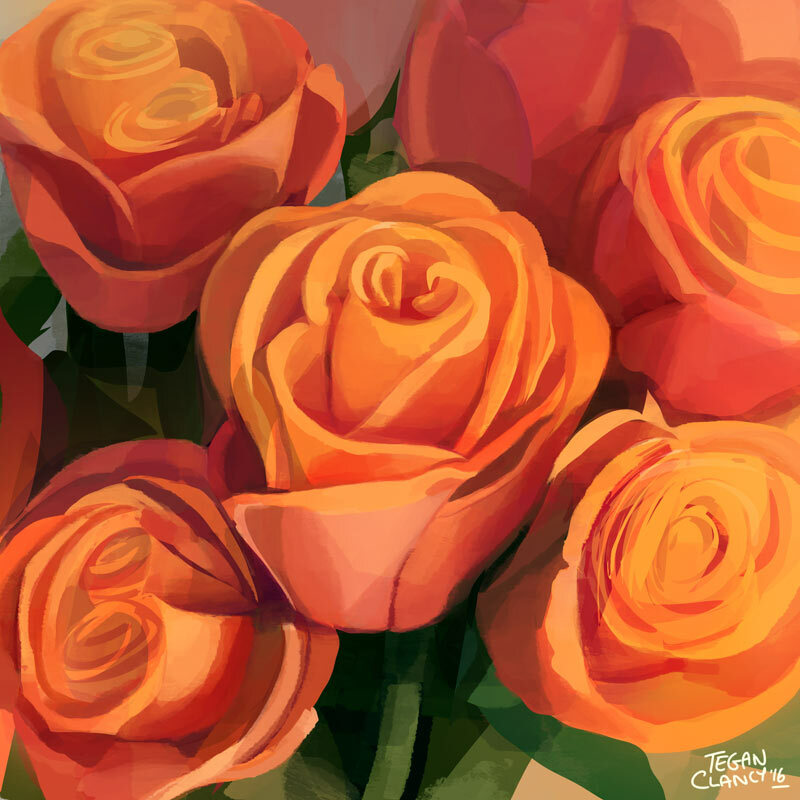 Here are some yummy snacks at my desk and some super tricky to paint orange roses! Spending 8 weeks on one character design was a great challenge to slow down and explore every aspect and functionality of your character. 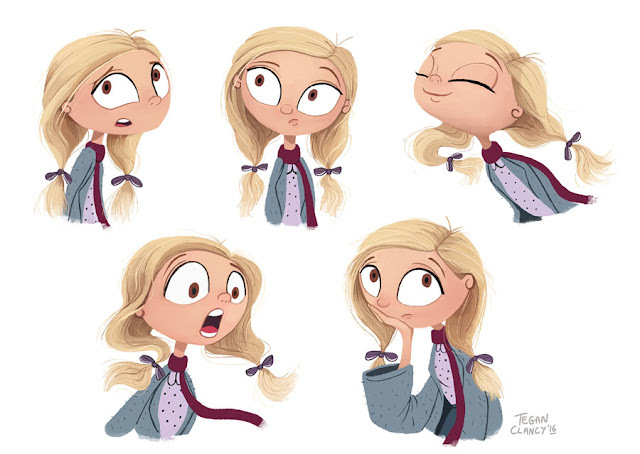 Here is some of the development sketches I produced in Nate Wragg's CGMA Character Design for Production. 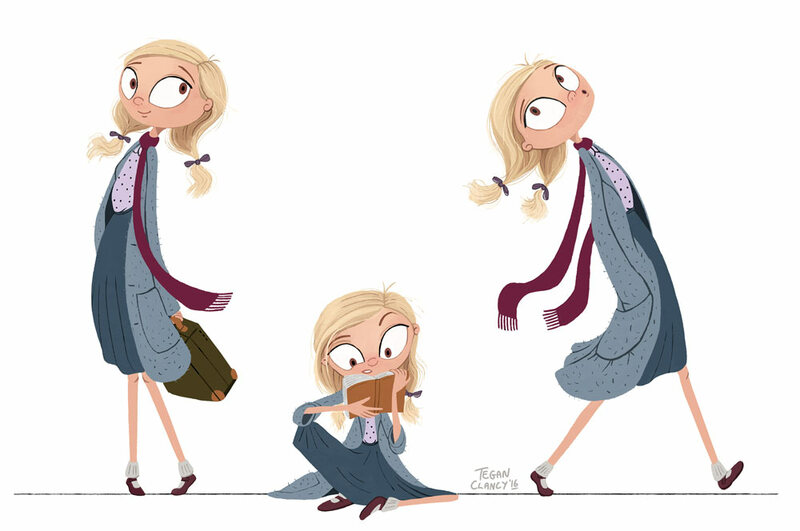 So excited to share this character design with you! 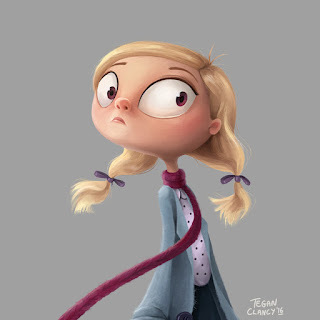 I have just completed Nate Wragg’s CGMA Class, Character Design For Production. 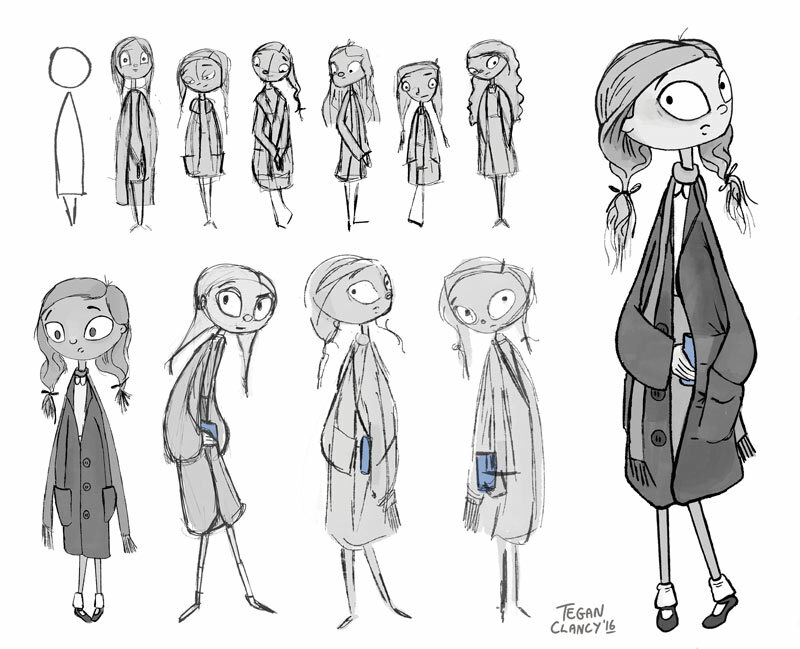 For the last 8 weeks I have been working on this character, taking her through a production pipeline. 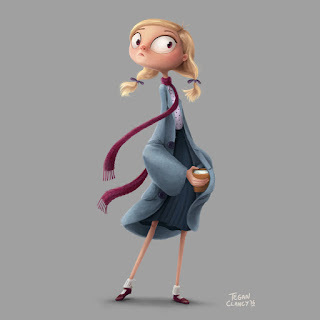 And here is my final painting, Liesel from The Book Thief. 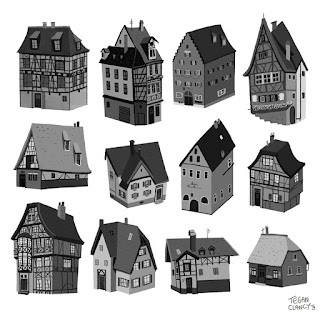 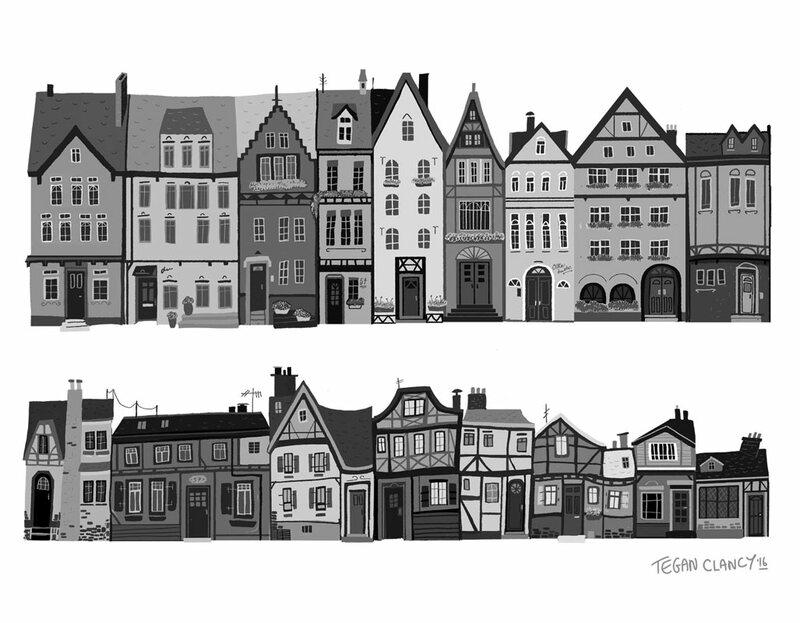 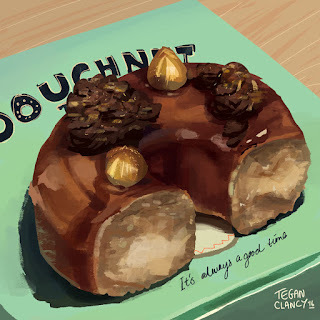 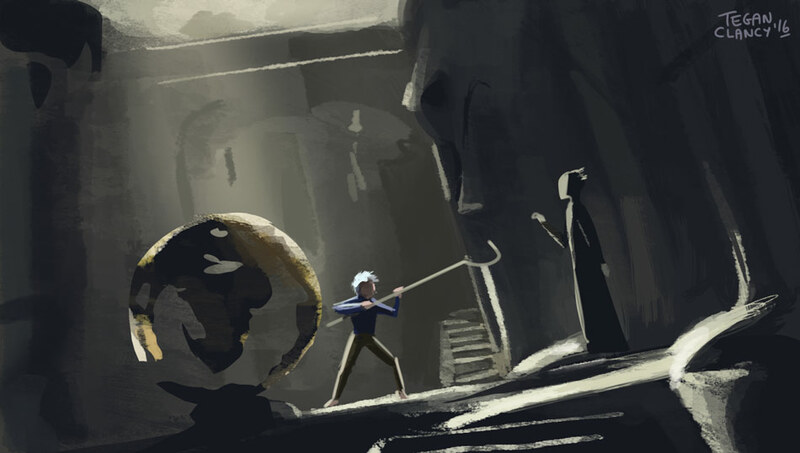 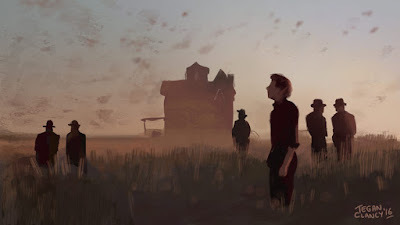 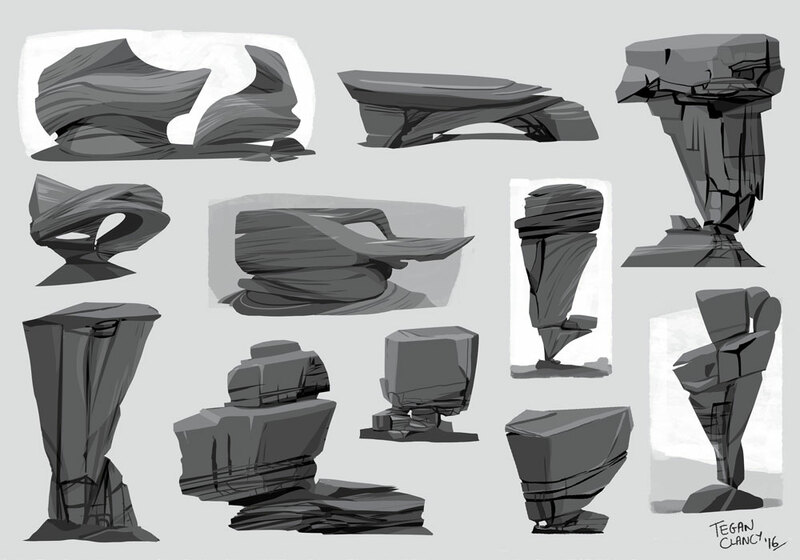 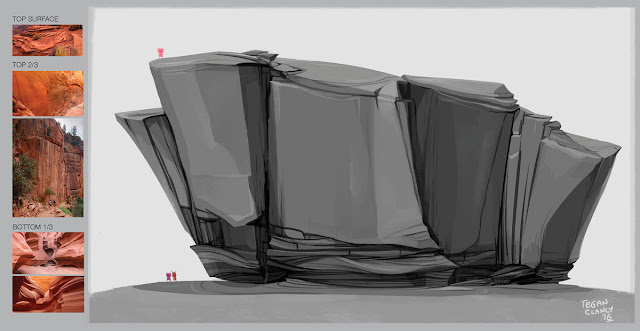 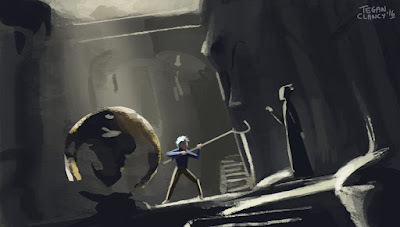 Week 1 of Nathan Fowkes Schoolism Environment Design Class, he asks us to study some of our favourite images, maximum 1hr each and discover the essence of the image. 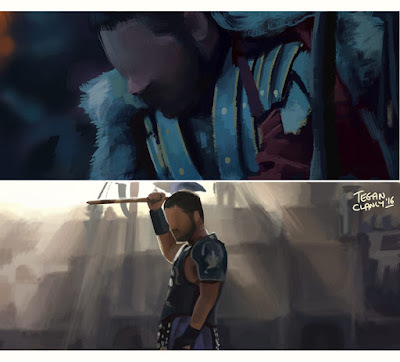 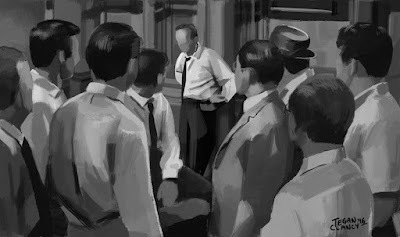 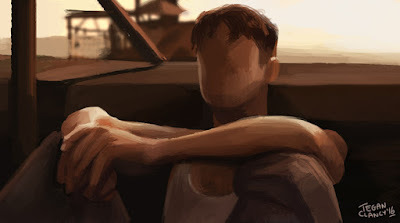 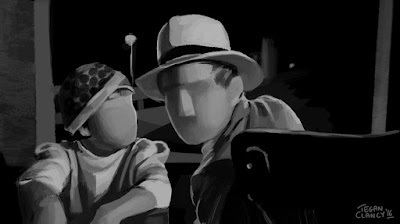 I decided to paint from some of my favourite movies, to challenge myself to learn more about cinematography but to become quicker at colour keys. 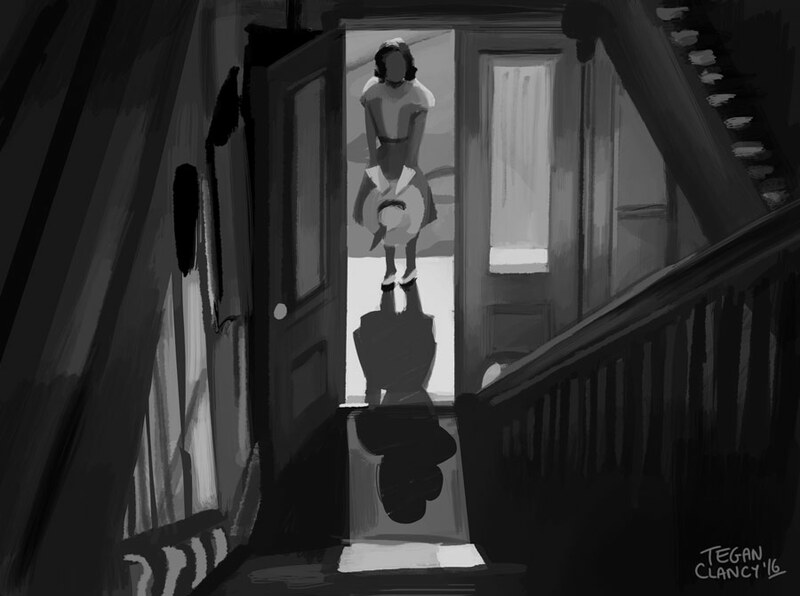 No tracing and no colour picking, forced me to be smart with my choices and not get caught up with the details. 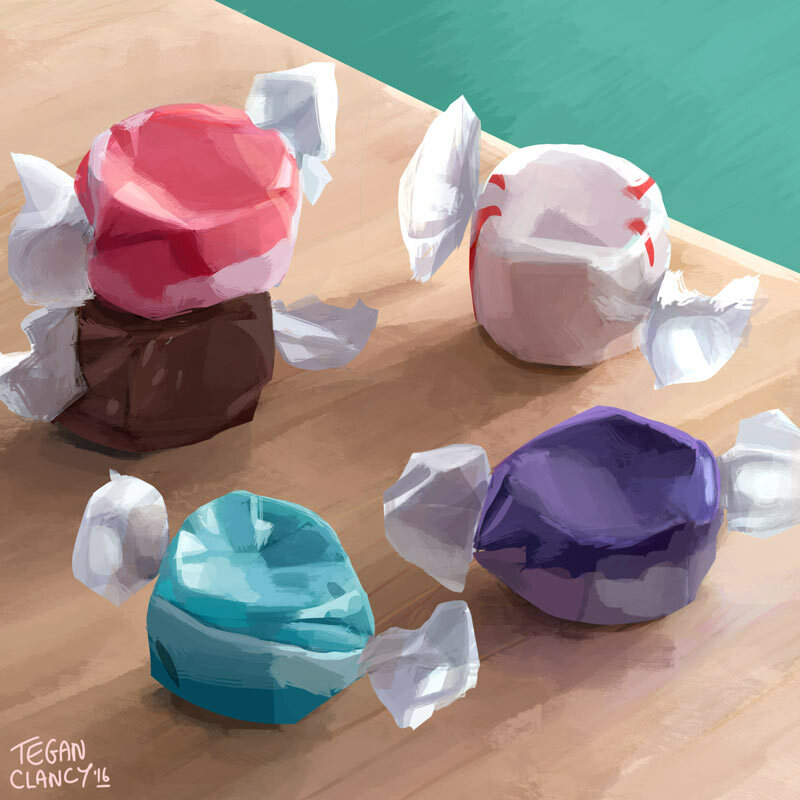 As you can see, I got a little addicted painting these! 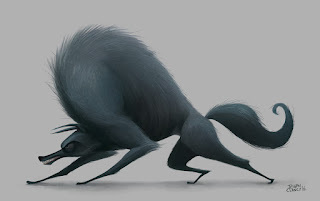 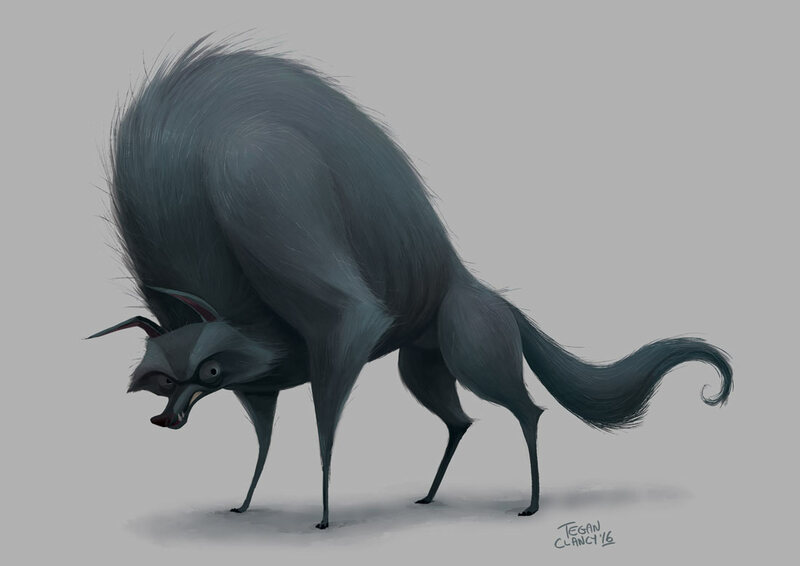 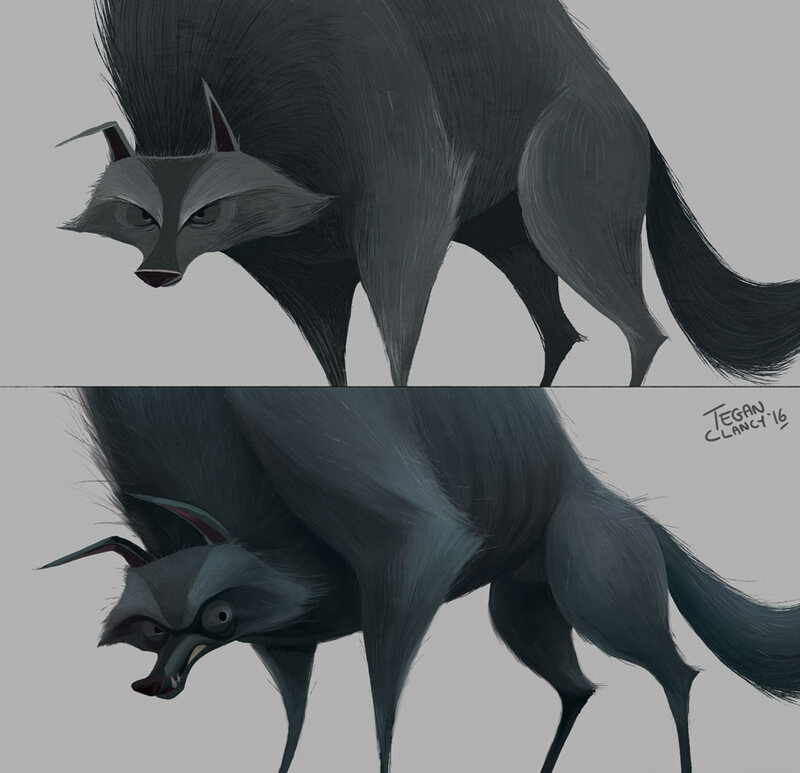 At CTN last year I received some great advice on keeping the Big Bad Wolfs shape design but to push his personality further, so I made him a tad more crazy. 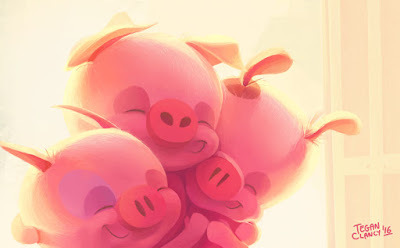 Got to keep those big ribs to blow down the piggies houses. 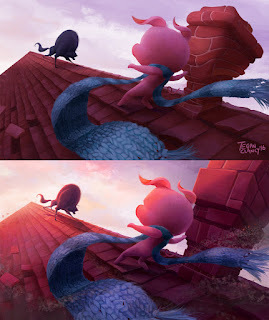 Also I included a before and after to see the difference the advice made. 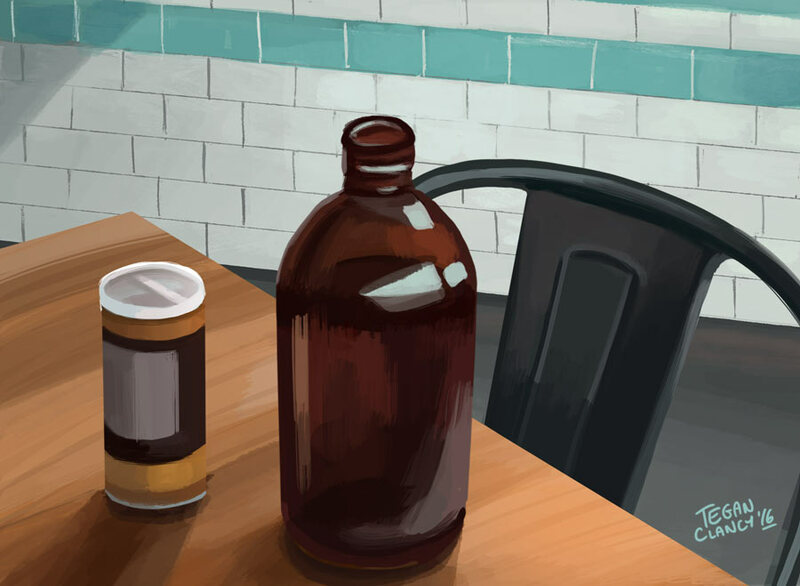 Love trendy cafes in Melbourne and their different ways to serve water. 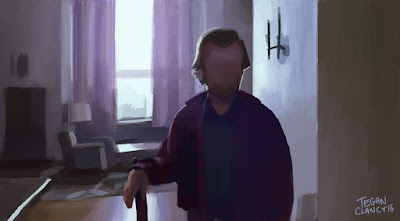 Observation paintings completed while drinking coffee. CTN advice updating the final showdown! 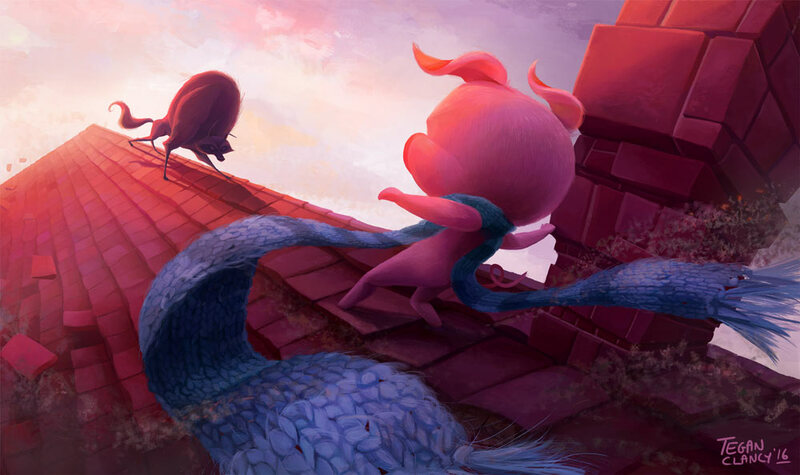 Learning from some great artists at CTNx last year I have updated the Rooftop final showdown, here's a before and after! 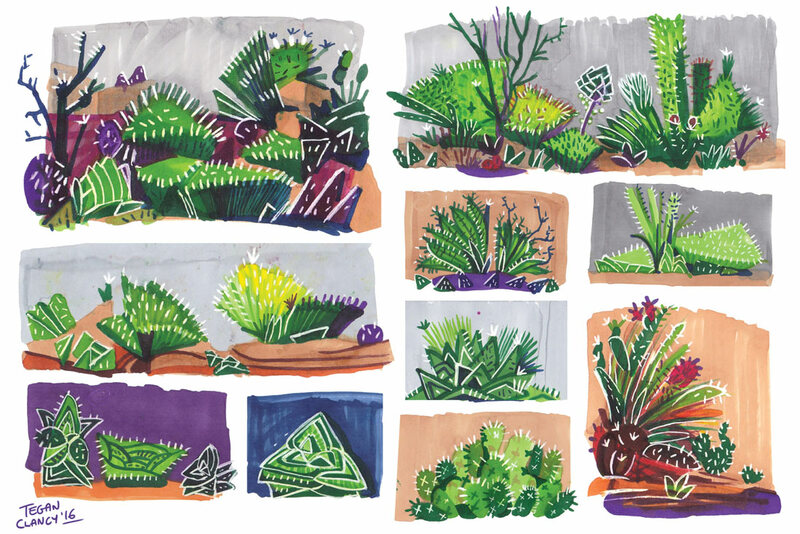 I had so much fun getting off the computer and sketching with markers again on the weekend! 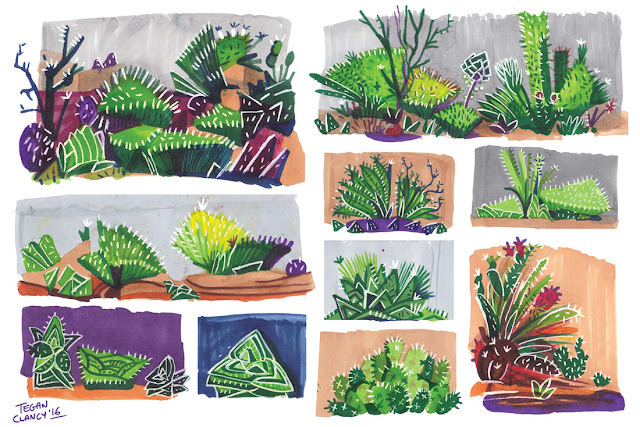 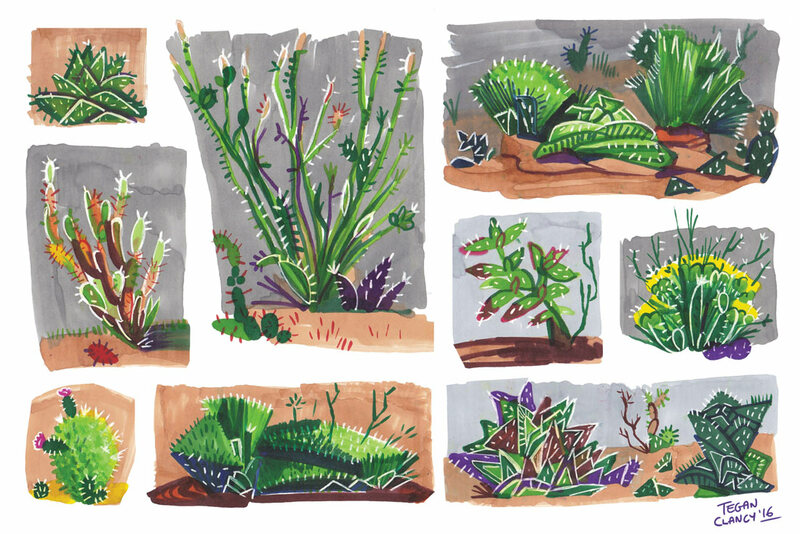 These are plant designs for the Canyon Environment in the 3 Little Pigs project. 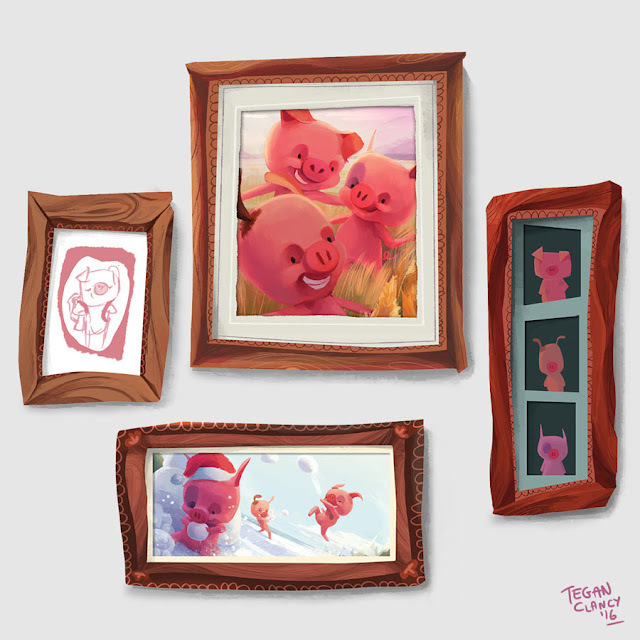 This little pig has walls full of picture frames in his Brick house. 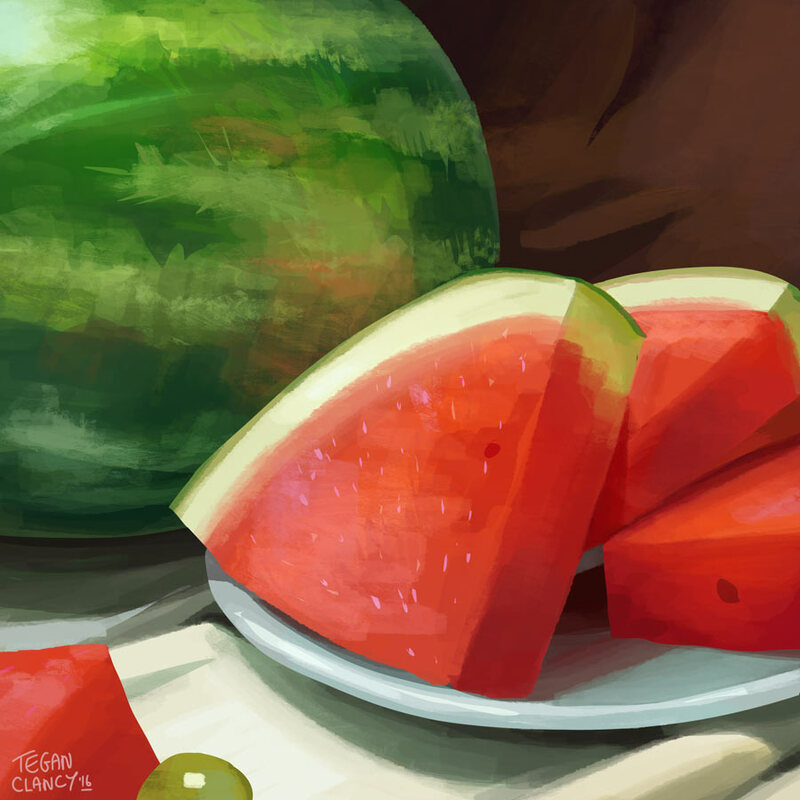 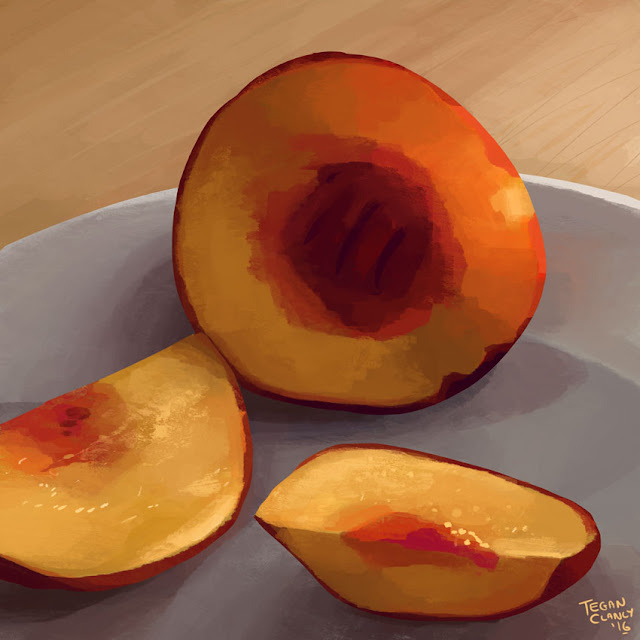 Looking at my nectarine snack on my desk yesterday afternoon, I just had to quickly paint a lighting study of it before I ate all! 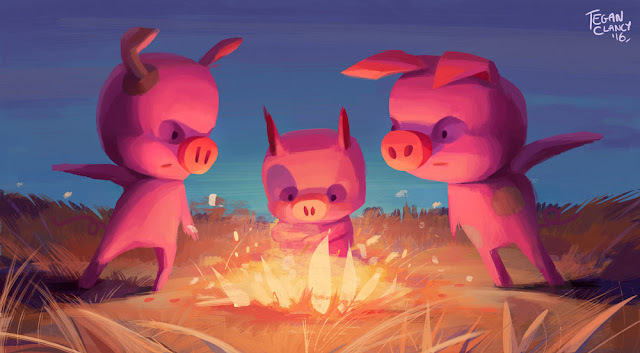 Ever wonder why the 3 little pigs didn't live together? It all began with a silly fight between brothers. 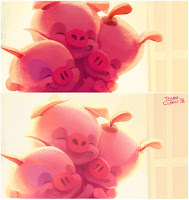 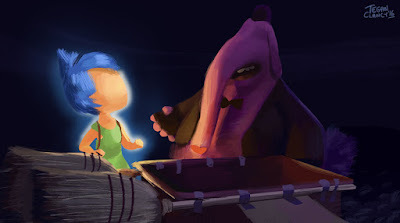 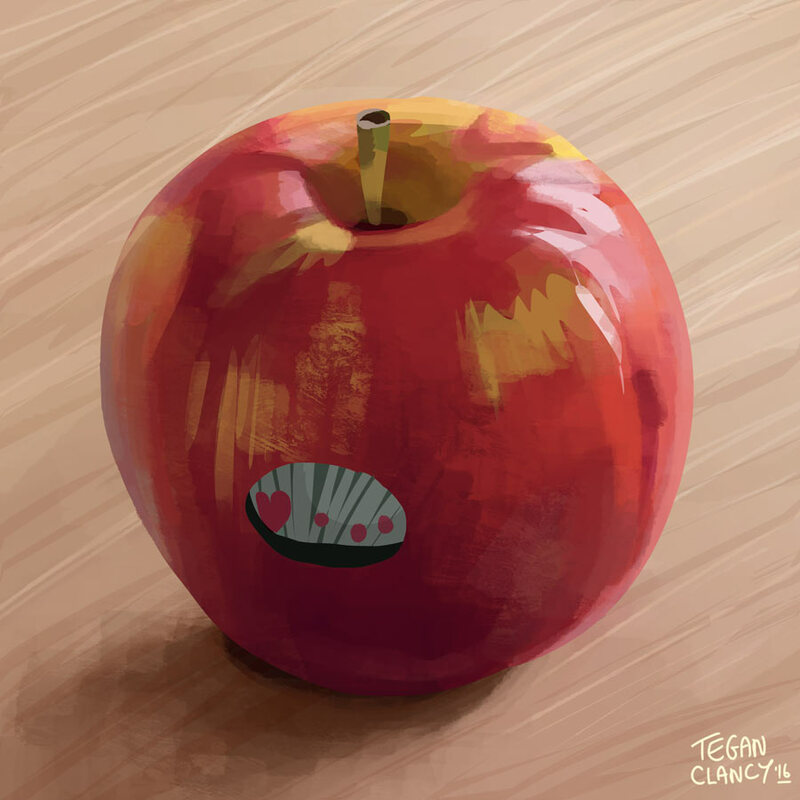 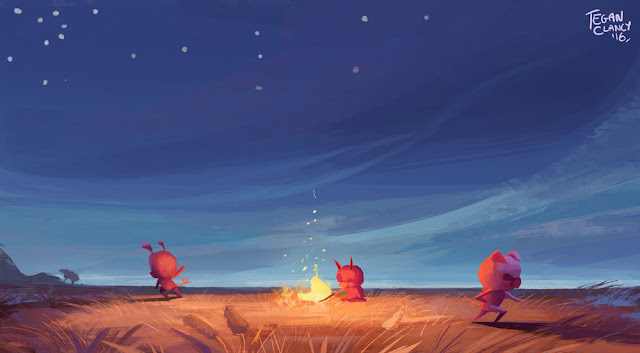 Colour Key from 3 Little Pig Colour Script.